In honor of the Super Bowl and Puppy Bowl I made a batch of indulgent peanut butter bacon footballs for Jack and all his fur friends. 2. In a large bowl, gently mix peanut butter, water and egg together. 4. 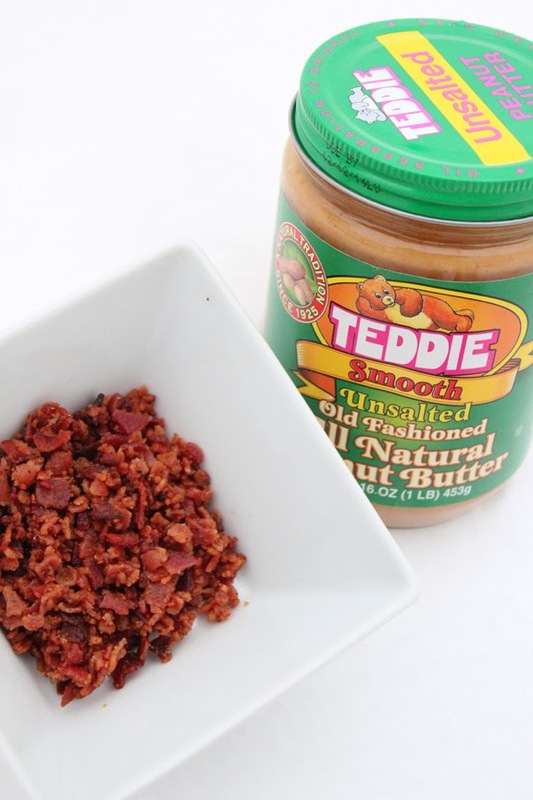 Mix in the oats and chopped bacon. 5. The dough should be thick. 6. Roll the dough out onto a floured surface and cut with a bone shape (or whatever you desire). 7. Bake 15-20 minutes (depending on thickness and size) or until lightly browned on the bottom. 9. Store at room temperature or in the refrigerator for up to one week. Or freeze for up to three months. *Note: I do not give Jack whole-wheat flour as it gives him awful gas. Instead I use half all-purpose flour and half oat flour (I just pulse oats in a food processor until it becomes flour-like). 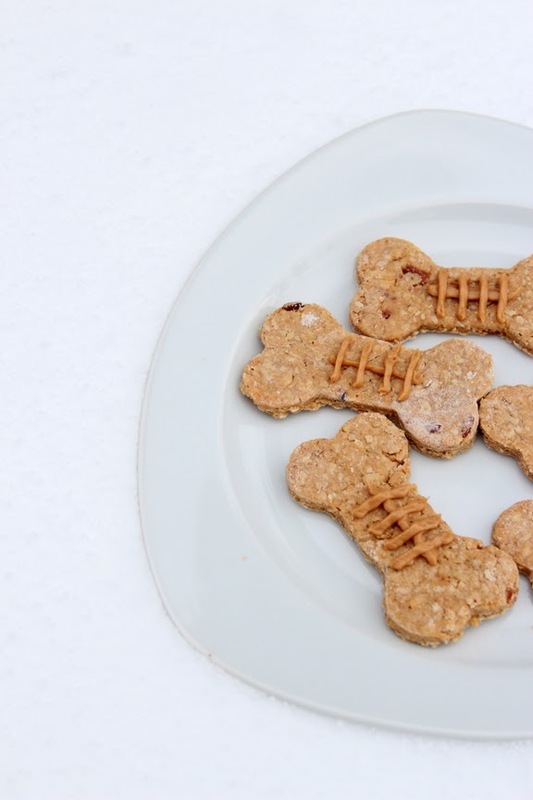 The above recipe is for treats and should not replace your dog’s regular meal plans. Always consult your vet about any new additions to your dogs diet.